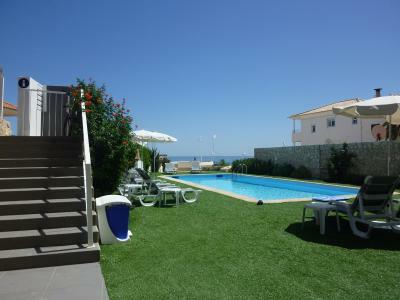 Lock in a great price for Casa Praia Mar - rated 9.3 by recent guests. Very nice small hotel. Newly built. Friendly staff/owner. Nice location and seaview. The facilities were amazing. Our apartment faced the beach! 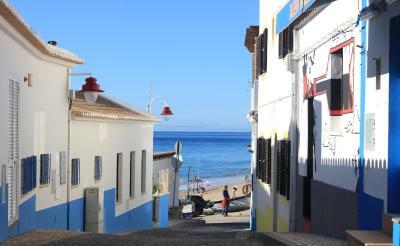 Salema is a beautiful little town in the Algarve. The hotel we stayed in was spotless, ideally situated and well well equipped for our stay. We would highly recommend the facilities to all of our family and friends. Great ocean view from the large balcony. 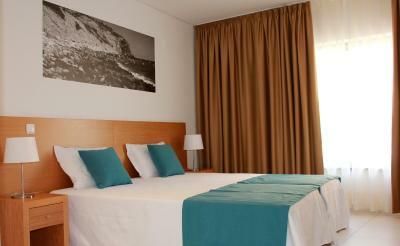 Large, well equipped room with a fridge and cooking facilities. Parking available although we parked on the street across from the hotel. Good place to stay with a family. 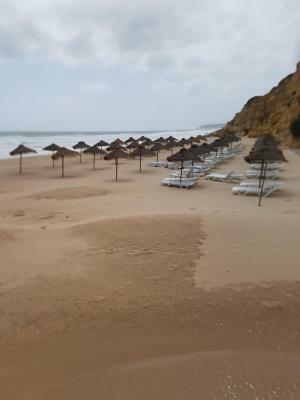 Walking distance to the beach, bars and restaurants (SUPER close). There was a full kitchen and outdoor seating. The room was very large and had a seating area as well. 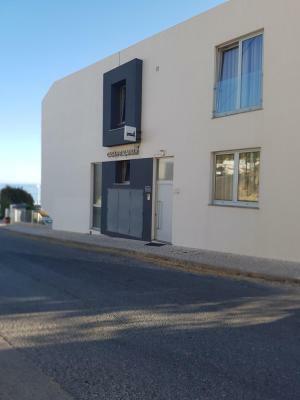 Excellent location close to the beach and restaurants. Warm welcome. Free parking across the road. 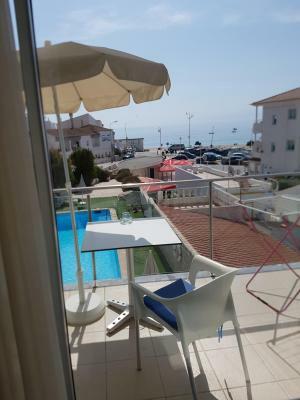 We had a top floor apartment with great views of the sea. There was a balcony with a table and chairs to sit out. The apartment was a good size and the bathroom was huge. 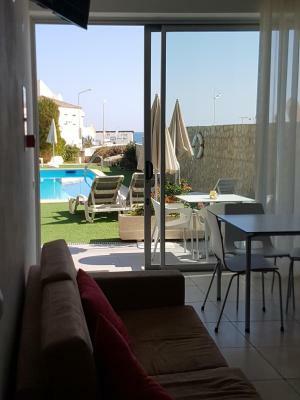 The apartment was only a 2 minutes walk from the beach and some fabulous cafes and restaurants. 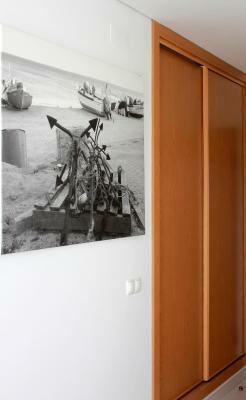 The apartment was very clean and has enough space & equipment in the kitchenette for making breakfast & light meals. Kinga was very supportive at the end of our stay when we had issues with our car and she stayed around to make sure we were ok. The kitchenette was nice to have and great location. 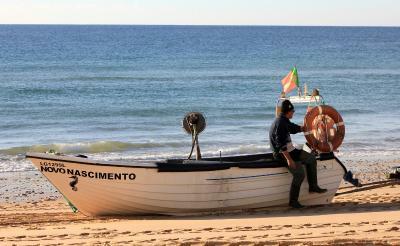 Casa Praia Mar is located in the traditional fishing village of Salema, Algarve, 50 yards from an Atlantic beach. It offers an outdoor swimming pool surrounded by a lawn with sun loungers. 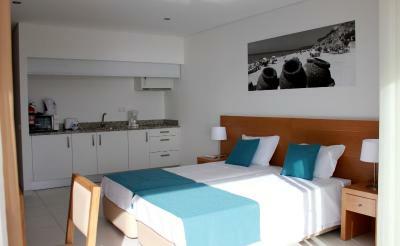 All Praia Mar rooms are spacious and have a bright décor. 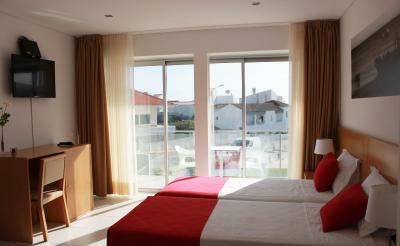 Some rooms have sea views from the furnished balcony, a fully equipped kitchenette or land views. 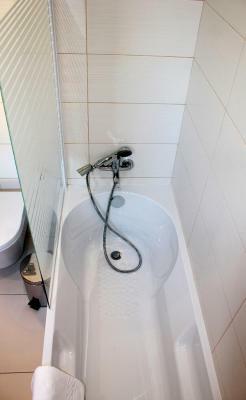 All include a private bathroom and free Wi-Fi access. Accommodations with a kitchenette give guests the opportunity to prepare their own meals. 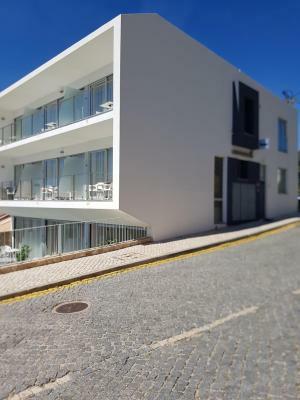 Alternatively, guests can walk to the village centre, 150 yards away, and enjoy a variety of restaurants serving Portuguese and international cuisine. Cafés and supermarkets can also be found here. The outdoor swimming pool offers relaxation moments. 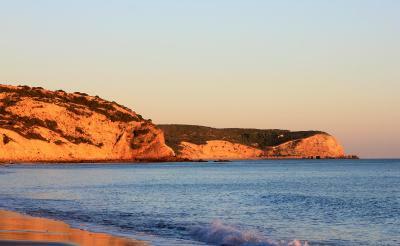 The more active guests can rent a bicycle on site and explore further Algarve’s countryside. 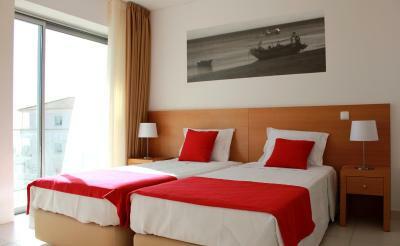 Guests wishing to enjoy water sports activities, use a rental kayak to adventure in the Atlantic Ocean. 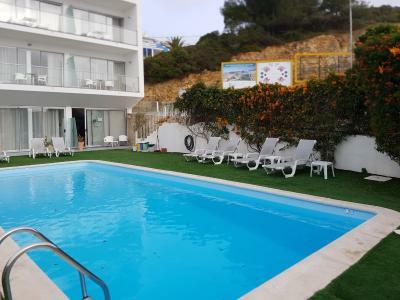 Parque da Floresta golf course is 2 miles away from Casa Praia. 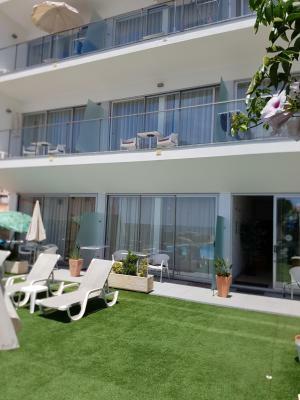 Portimão, with its many shopping opportunities, is a 42-minute drive from Casa Mar. 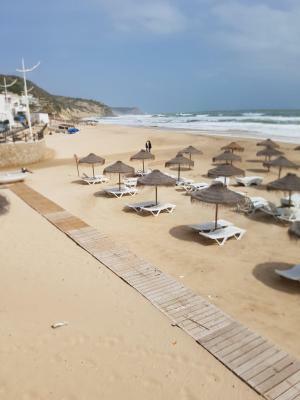 Faro International Airport is an hour drive away. Autódromo Internacional do Algarve (International Race Circuit) is 23 miles away. 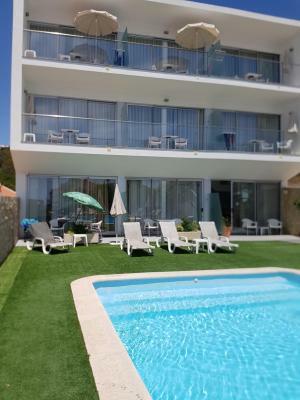 This property also has one of the best-rated locations in Salema! Guests are happier about it compared to other properties in the area. 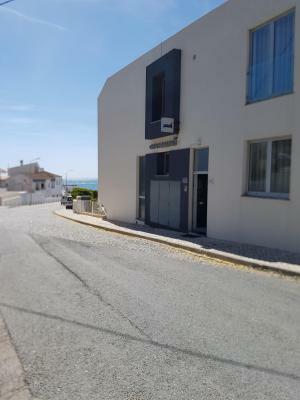 This property is also rated for the best value in Salema! Guests are getting more for their money when compared to other properties in this city. 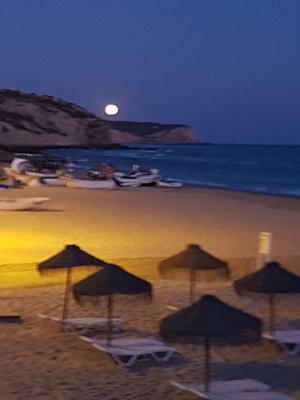 Casa Praia Mar has been welcoming Booking.com guests since 23 Jan 2013. 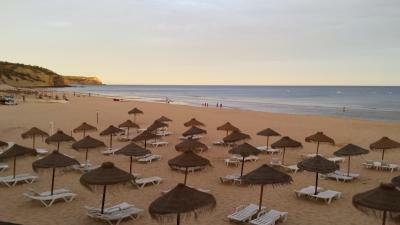 When would you like to stay at Casa Praia Mar? 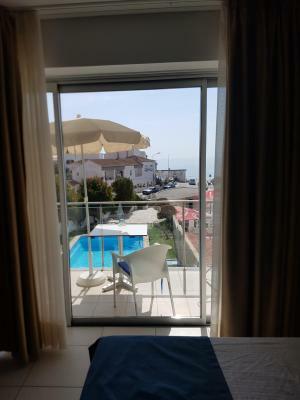 Offering sea views, this extra-large, bright room offers 2 single beds, light-wood furnishings, air conditioning and a balcony. 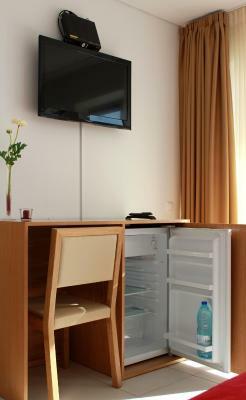 It includes a fully equipped kitchenette and a cable LCD TV. 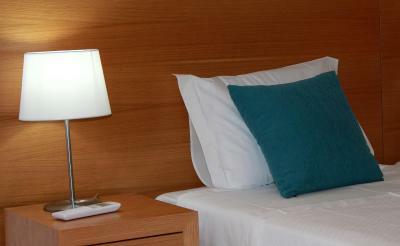 It can accommodate 1 baby cot upon request and availability. 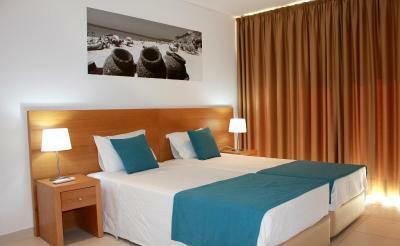 This extra-large, bright room offers 3 single beds, light-wood furnishings and air conditioning. It includes a cable LCD TV and a kitchenette. This room does not offer views of the sea. 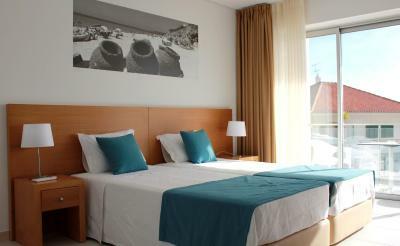 Offering sea or pool views, this large, bright room offers 2 single beds, light-wood furnishings and air conditioning. It includes a cable LCD TV and mini-fridge. 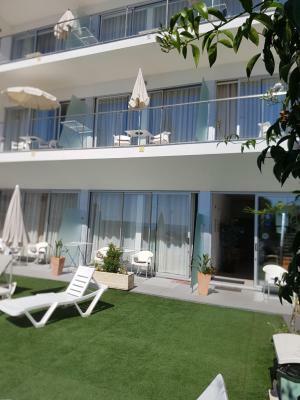 Located by the pool, this room offers a kitchenette, air conditioning, a bathroom and 3 single beds. 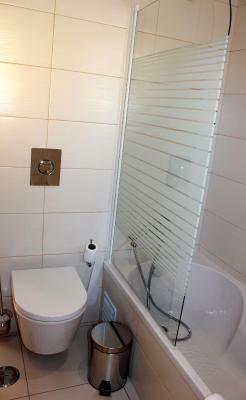 It can accommodate 1 extra bed and 1 baby cot upon request and availability. House rules Casa Praia Mar takes special requests - add in the next step! 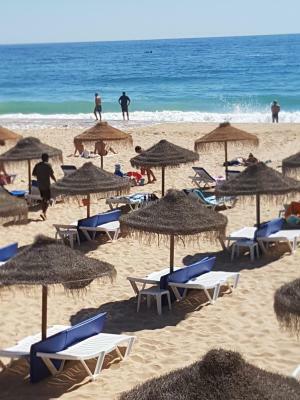 Bankcard Casa Praia Mar accepts these cards and reserves the right to temporarily hold an amount prior to arrival. Casa Praia Mar accepts these cards and reserves the right to temporarily hold an amount prior to arrival. Please inform Casa Praia Mar in advance of your expected arrival time. You can use the Special Requests box when booking, or contact the property directly with the contact details provided in your confirmation. Cold in the room when we arrived. Too many things in this small village are closed during the winter season including mini markets where you can find the basic food stuffs for the kitchen. We had to drive about five miles to a supermarket. Too hard to find a coffee out in the morning due to so many places being closed. Excellent beach view from good sized balcony. Could walk to everything in this tiny village. 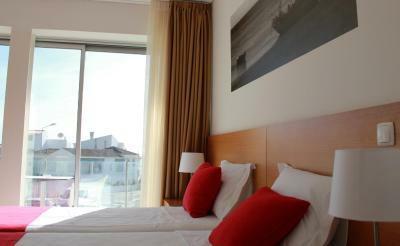 Very comfortable apartment with a great kitchen and comfy bed. No crowds like in summer. Fantastic view of the ocean! Very minor-the vent in the bathroom was very noisy. TV had very little English options so we didn’t really use. Great location (but one needs a car) and the room was comfortable and complete (especially the a/c). 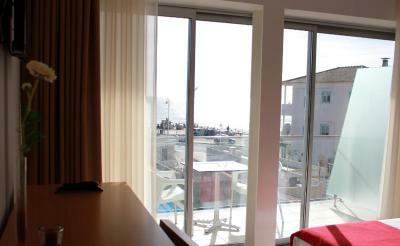 The handy kitchenette gave us options for breakfast, pack lunches or just stay in with appetizers on the balcony. Book a view room! 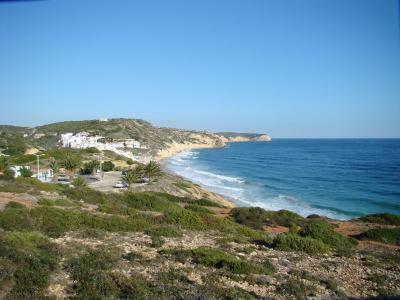 Easy access to sites, beaches and restaurants. 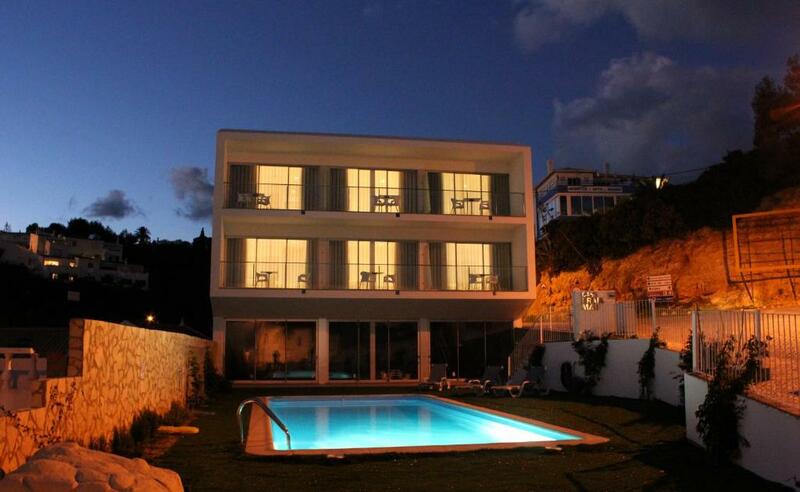 The property exceeded our expectations as did the beauty of Salema! This is a laid back, small fishing village setting, but an actual place to feel like you are on vacation. The room was clean, comfortable, and a nice size. 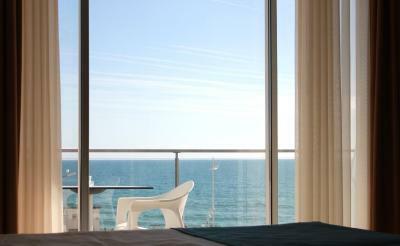 The ocean view from our top floor balcony was amazing for both sunrise/sunset or simply an afternoon glass of wine! The staff and innkeeper were very hospitable and welcoming. My husband and I took the bus from Lagos to Salema and the bus stop is literally out the front door of the building. We are so glad we stayed two nights and in fact, we could have stayed even longer! 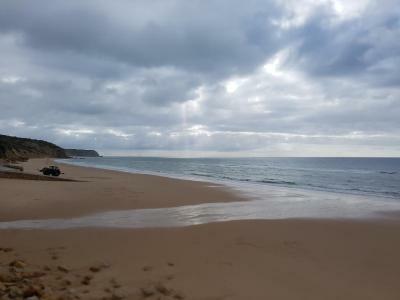 During our stay, we did some hiking which led to some other beaches, but the beach of Salema feels like you have it to yourself! 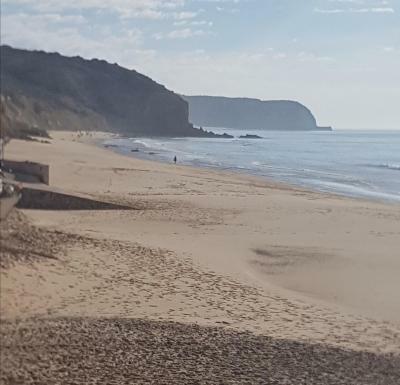 If you are looking for a place to enjoy quiet beauty, while feeling like you can relax, visit Salema and stay at Casa Praia Mar! It was a perfect stay! Large room with a kitchette and a porch overlooking the ocean. Beautiful location! The hotel is spotlessly clean. Great location in the center of the small town. 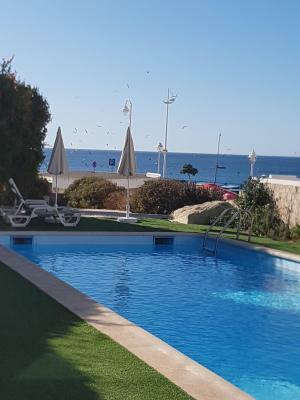 The swimming pool is lovely, but unfortunately it was too cold to use! Exactly as seen on the internet. The young lady who runs the hotel is charming,friendly and very helpful. Great location, great facility, great weather. The mattress needs to be replaced. Could have had more outlets or extension cord. One they had was hooked up to the TV, and we had to unplugg the TV to plug in the teapot. But since we can only figure out two channels on the TV it was no big loss. Love the central location and the view. We had a smaller room, no kitchenette or microwave. There was a small refrigerator, and some dishes and glasses.